Born in Scotland near Edinburgh, he moved to Hong Kong at a very young age when his father relocated there to start his business career after leaving The Royal Engineers at the end of the 1st World War. 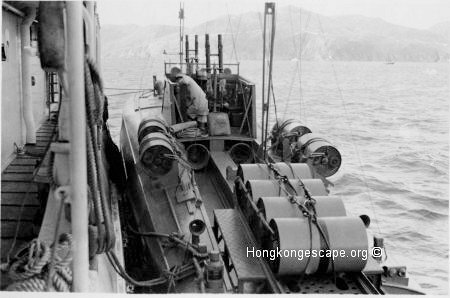 Sent back to England to Taunton school, he returned to Hong Kong after leaving school to start work with Jardine Matheson in their shipping department and worked in both Shanghai and Hong Kong before the outbreak of war. 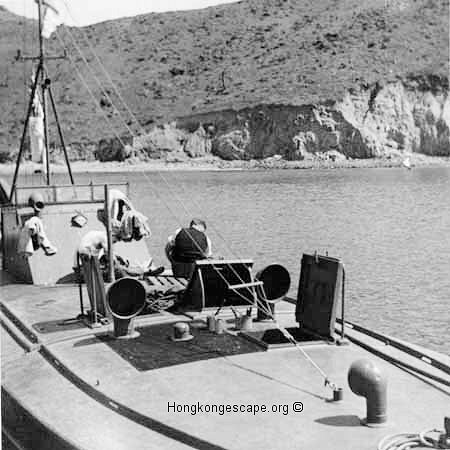 19th March 1938 Tommy Parsons joined the Hong Kong Naval Volunteer Force, later upon mobilization in 1939 this became the Hong Kong Royal Navy Volunteer Reserve (HKRNVR). 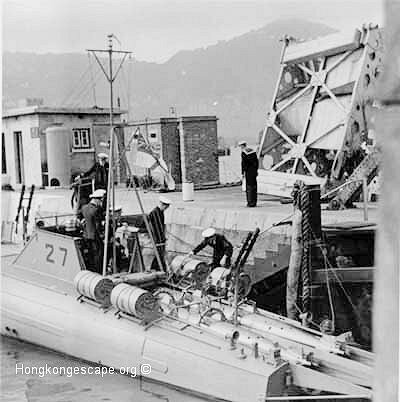 At the time the Japanese attacked Hong Kong on his 26th birthday he was a Lt. HKRNVR and ADC to Sir Mark Young the Governor of Hong Kong as well as O/C MTB 27. 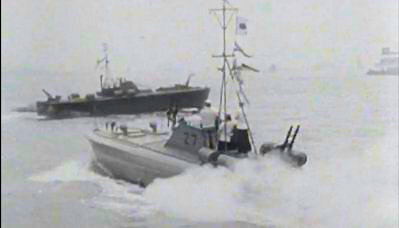 The crew of MTB 27 fished the Aberdeen Island swimmers out of the sea one by one with Tommy Parsons personally hauling Bill Wright aboard before MTB 10 returned. Tommy collapsed while climbing the 2000 foot mountain on the forced march from NanAo to Waichow necessitating a sedan chair. He later had a fall after a night out in Lashio and was admitted to hospital. He eventually flew 'over the hump' (The Himalayas) with the RAF to India, and returned to England by boat where he transferred to the Imperial RNVR with the rank of Lt. and posted to HMS Hornet the MTB base at Gosport on the 1st May 1942 for a short period. After a short spell in hospital he was posted to HMS Europa in Lowestoft. In January 1944 he was transferred to Ceylon where his knowledge of south China and Cantonese could be put to better use and he served with Naval Intelligence in HMS President and HMS Highflyer until the end of the war. It was while he was in Ceylon that he met and married Elizabeth Fraser who was serving with the WRNS in Trincomalee. His younger brother David (Pte. 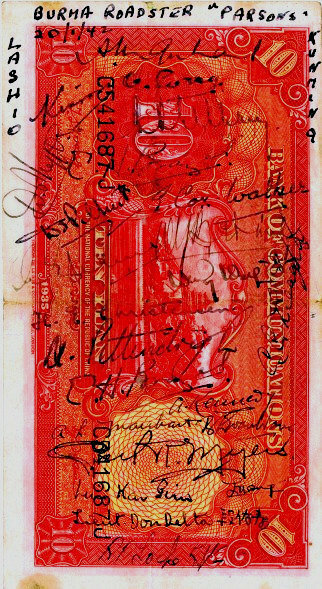 DO, V3234, HKVDC. The Recce Unit HKVDQ) was a valued member of the SOE, Dan Waters & Alison McEwan recorded in writing up Colin McEwan's diary "David Orchard Parsons worked in Jardine's. He was born in Hong Kong and educated partly in Hong Kong and partly in Britain. Aged 20, he was the youngest member of Z Force when the Japanese attacked. He was a member of the Mobile Column of the HKVDC before joining Z Force." . 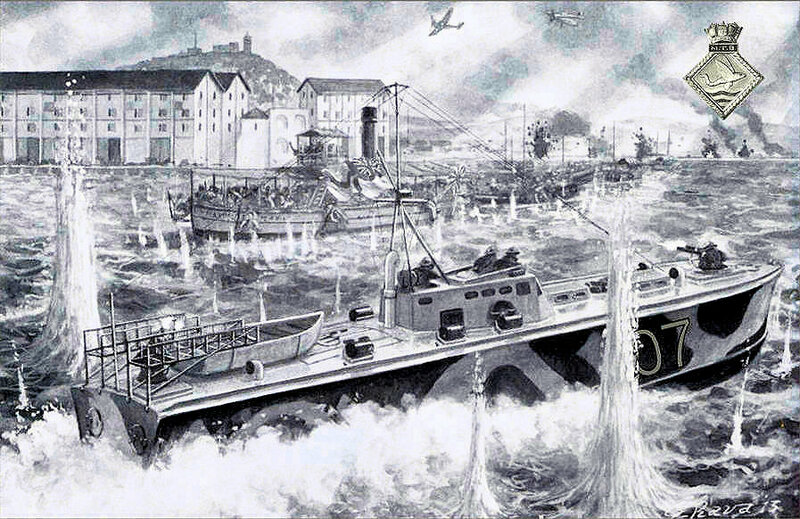 McEwan against the Japanese, was of immense value..
Tommy Parsons and fellow senior officers jokingly referred to the highly tuned thoroughbred boats as the "Hong Kong Costly Force." Lt Parsons was the third OC of MTB 27, the first being Lt Collingwood RN who transferred to MTB 11, followed by Lt Kilbee HKRNVR who then took command of MTB 08 in April 1940. 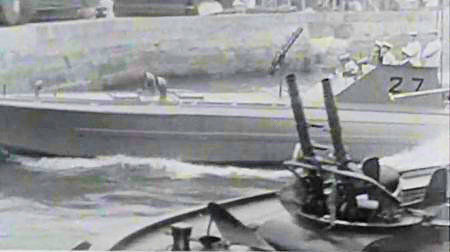 MTB 27 was fitted with experimental exhaust mufflers and was known as the silent boat. Officers enjoying a day out in Guiyang with their female hosts including Dr Lim's 15 year old daughter Effie in the tartan kilt. 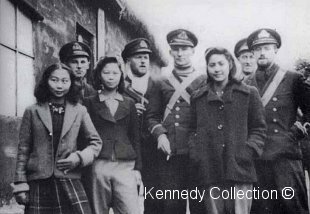 Sub-Lt's Gee & Legge were both brought up in Shanghai and spoke Mandarin. The officers left to right are Sub-Lt Gee [MTB 07], Sub-Lt Brewer [MTB 09], Sub-Lt Legge [MTB 11], Lt Parsons [MTB 27], & Lt Alexander Kennedy of MTB 09, the author of the privately published book "Hong Kong Full Circle 1939-1945"
MTB 27 alongside HMS Robin loaded with depth charges in lieu of torpedo's. David MacDougall Returned on 7th September 1945 as Brigadier Colonial Secretary with the Military Administration. Mac took early retirement in 1949 to take up farming in Suffolk, East Anglia, UK. Ted Ross Returned briefly with the British Military Mission before going on to Japan in 1946 where he worked closely with Douglas MacArther's administration. Ted returned to Hong Kong in 1951 following a year long round the world honeymoon with his bride, staying untill 1965. 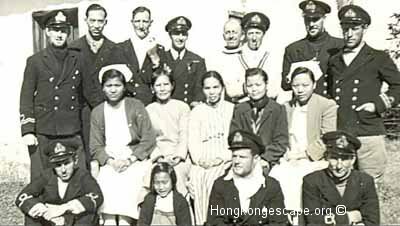 Lt Arthur Pittendrigh Returned to HK in 1945 to command the Maritime Police Service with the rank of Colonel. Monia (John) Talan Returned to run a travel business before going into laundry.